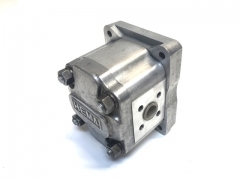 Leyland and Marshall 302 hydraulic pump Fitted to: Leyland 184, 235 and 302 models Marshall 302 models. 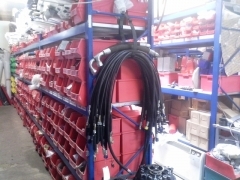 New Leyland and Marshall Exhaust parts in stock!! 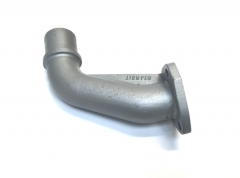 CTJ6317 EXHAUST ELBOW. Leyland and Marshall 90o Exhaust Elbow. Fitted to Leyland 245 Synchro tractors and Leyland 502 tractors - where the exhaust elbow comes through bonnet side panel. Also fitted to Marshall 502 tractors with Perkins D3 152 engine. Many more exhaust parts added this week!! **NEW STOCK ARRIVED TODAY** BTJ3307 NUFFIELD LEYLAND SILENCERS. £51.07. Special bolt number plate extension. 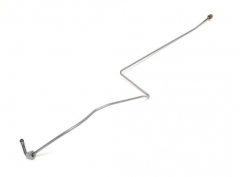 NT5755 Standard chassis extension bolt. 3/4 x 5 1/4" UNF. 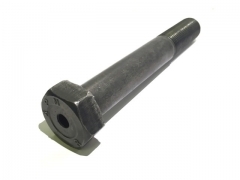 NT5756 Special bolt with 5/16" UNF drilled end extension for the number plate. 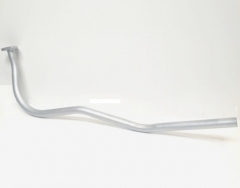 ATJ5686 OIL PRESSURE PIPE - £25.75 ATJ8806 superseded to the current part number ATJ5686 Nuffield and Leyland oil pressure gauge pipe in steel as original. Fitted to: Nuffield 3/45 and 4/65 models. Leyland Middleweight 344 - 384, 255 - 270 and 262 - 272 cabless and standard cab tractors. 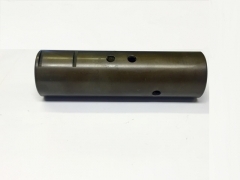 ATJ7239 superseded to the current part number ATJ7363 - £44.50 Nuffield clutch to gearbox drive sleeve used on all single clutch tractors. Use with - NT8064 DRIVE PLUG Fitted to: Nuffield Universal 3 (3DL) & Universal 4 (4DM) Nuffield 342 - 460 and 10/42 - 10/60 models. 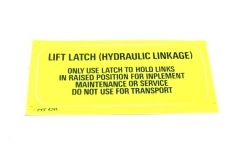 Also can be used on dual clutch tractors with ATJ7240 DRIVE PLUG. 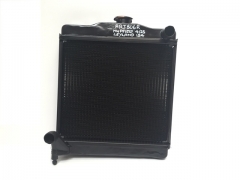 ARJ806R Reconditioned Radiator - £164.80 As this is a reconditioned item there will be a surcharge to pay - please ring for details. Fitted to: Nuffield 4/25 and Leyland 154 with 1500 BMC diesel engine and 1622cc petrol engine. Leyland Tractor Parts. We've added hundreds of vintage tractor parts to the website over the last few weeks and had some great feedback from our customers. We are adding more parts every day, but what you see on the website is just a small selection of the 30,000+ different parts we have in stock. So if you don't see what you want in the "shop window" please get in touch with us by phone, email or use the Quick Contact page. We'd love to hear from you. 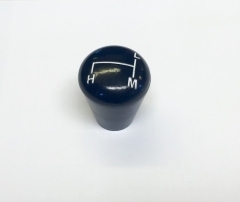 Nuffield and Leyland High/Low range change gear knob - £10.50 First used with the introduction of the 10 speed gearbox on - Nuffield 10/42 - 10/60 and 3/45 - 4/65 Also fitted to: Leyland Middleweight 253 - 245, 344 - 384, 255 - 270 and 262 - 272 Leyland Heavyweight 285 - 2100 and 485 - 4100 models. 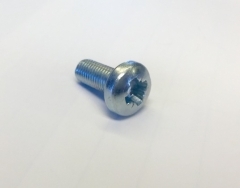 Nuffield bonnet screw - £0.77 each PMZ510 superseded to the current number PMZ512. 5/16" UNF x 3/4" long. Fitted to: Nuffield Universals 3DL & 4DM, 342 - 460 and 10/42 - 10/60 models. 2 per tractor. Also side inspection panel screw for: Nuffield 3/45 and 4/65 models. 4 per tractor. This part secures instrument panel shroud on: BMC Mini, Nuffield 4/25 and Leyland 154 models. 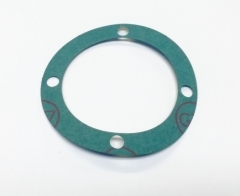 Nuffield, Leyland and Marshall 2WD hub cap gasket - £0.50 First fitted to: Nuffield 342 - 460, 10/42 - 10/60 and 3/45 - 4/65 models. and then fitted to 2WD: Leyland Middleweight 253 - 245, 344 - 384, 255 - 270, 262 - 272, 282, 502, 602, 702 and 802 models. Marshall 502, 602, 702, 802, 902XL, 752XL, 852XL and 952XL models. JWD 274, 284 and 294 models. 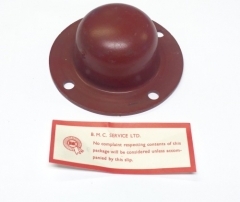 Nuffield, Leyland and Marshall hub cap - £12.85 Fitted with ATJ5625 GASKET First fitted to: Nuffield 342 - 460, 10/42 - 10/60 and 3/45 - 4/65 models. and then fitted to 2WD: Leyland Middleweight 253 - 245, 344 - 384, 255 - 270, 262 - 272, 282, 502, 602, 702 and 802 models. 502, 602, 702, 802, 902XL, 752XL, 852XL and 952XL models. JWD 274, 284 and 294 models.